Companies that have proven that they make great products and they stand behind them! Above are our Approved Products List, follow this link for a complete list of Automotive Paint-less Dent Repair Tools. At the World Hail Network, we conduct a thorough and in-depth testing, review and approval process for products that bear the designation of ‘WHN Approved Product’. It’s important to know that a particular hail repair product actually does what you expect it to do! That’s where we can assist, by verifying a product’s efficacy, ensuring you don’t fall victim to a gimmick! We regard WHN Approved Product vendors as legitimate and honest vendors whom you can trust as you seek to perform hail repairs. We’ve done the hard work for you, so you can shop with confidence and ease. So if you’re seeking to repair hail damage, look for the WHN Approved Product seal and shop with confidence! 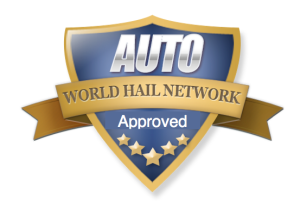 If you do run into any problems with any of the World Hail Network Approved Products, please contact the hail repair product vendor directly to seek resolution. If they are unable to help you, let us know and we will try to help. We are always on the hunt for the best products to help our members. If you have a tool, software or other product that you would like ‘Approved’, simply contact us. If we have used and tested your product, we will review and add it. If we have not tried your product, simply send us one and we will try it in the field and we will ask around to see what others think. It is pretty easy to get on the Approved Product list as most vendors are proud of their products and want to do things right. If however, you do not take care of your customers or your products do not live up to their claims, you will not only be removed from the Approved Products Vendor List, but we will make sure that everyone in the industry understands why.